One of the best and surprising sets I got from my excursion to Austin City Limits (which will NOT be covered) was catching Girls' set. After only one year they have improved by strides both as a band and live performers, and few things are more enjoyable then having your ears split in half when the distortion kicks in on "Hellhole Ratrace" after a set of quiet guitar songs. So news that they plan to drop a brand new EP was not at all that surprising. 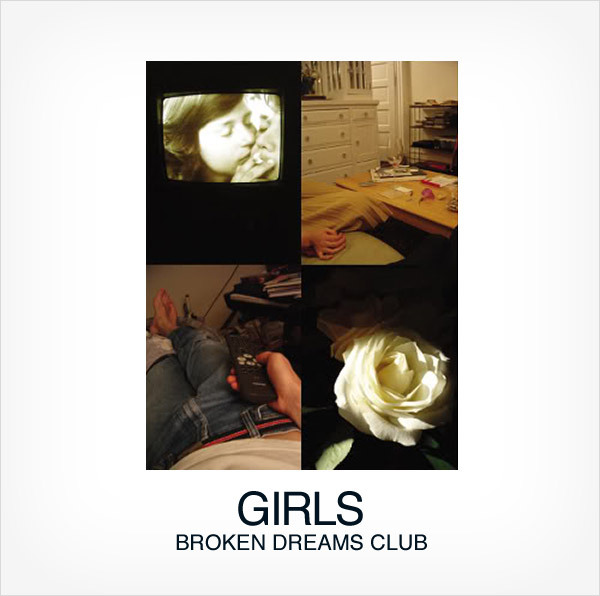 Broken Dreams Club will be out on November 22 and promises to expand on Girls' sound with a bunch of new sounds and styles. "Heartbreaker" does nothing to encourage that this might be even remotely true. Instead, another slice of pure early '60s California style pop, with the same wonderful guitar lines and melancholy vocals to boot. Broken Dreams Club may turn out to be another extension of ALBUM, but judging on how well constructed that record was, I think few people will mind.